It was 50 years ago; April 4th, 1968 at 6:05 tonight. It's chilling. I think of how far we've come for there has been progress. Signs for "Whites Only" are gone, people of all races, colors, and genders are given their right to vote, outright segregation is no longer present. Yet we've not come far enough. There is still segregation hidden by poverty and neighborhood, by opportunity. We're still waiting for a certain amount of change in this country. At least many of us are. 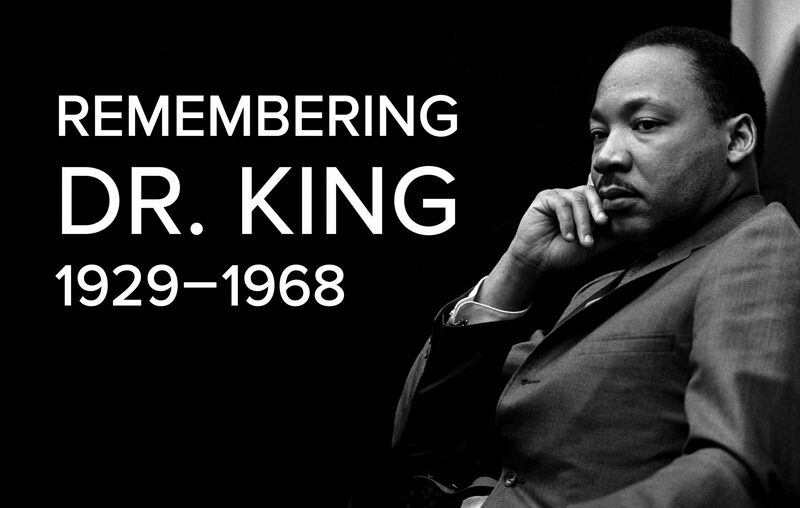 Dr. King did bring us to the mountaintop and I think of the bodies lined along the way; not only his but Robert Kennedy, Emmett Till, Medgar Evers, and Malcolm X, but Michael Brown, Philando Castile, Alton Sterling, Stephon Clark, Eric Garner, Samuel DuBose, Freddie Gray, Natasha McKenna, and Christian Taylor, just to name a few-the list is too long. Last night I attended a staged reading about the last night of Martin's life as he talks with a maid at the Lorraine Motel. It was a good look at Dr. King in a very humanizing way. He wasn't perfect but he was an amazing speaker who loved all people, who wanted to see the good in what could happen. As I talked with friends before the play my friend Rita made an interesting comparison to the weather we are all humbled by-very winter weather at the beginning of April-she said it was like we were in Narnia. Quickly we made the leap to Trump as the White Queen. So much change still to be made and a madman in the White House who considers gun violence a local issue and continues to offer his "thoughts and prayers". We need stricter gun laws (and we don't mean your hunting or handguns appropriately used and registered. We are talking about guns that should not be covered by the 2nd Amendment. This president ~ not going to do it. We need better immigration policies, DACA to continue, and this president is going in the opposite direction. This list is long but I see hope in the students of Stoneman Douglas as they lead the march, I see hope in the #MeToo movement as women insist on calling out those who use power as a weapon. I see hope in the Black Lives Matter Movement as they fight back against police brutality and twisted realities. I see hope in my 15-yr-old daughter as she rants to the radio over Trump's immigration plans and quotas that rush people through an already dismal situation.